Today's project comes from Cindy of Live a Colorful Life. 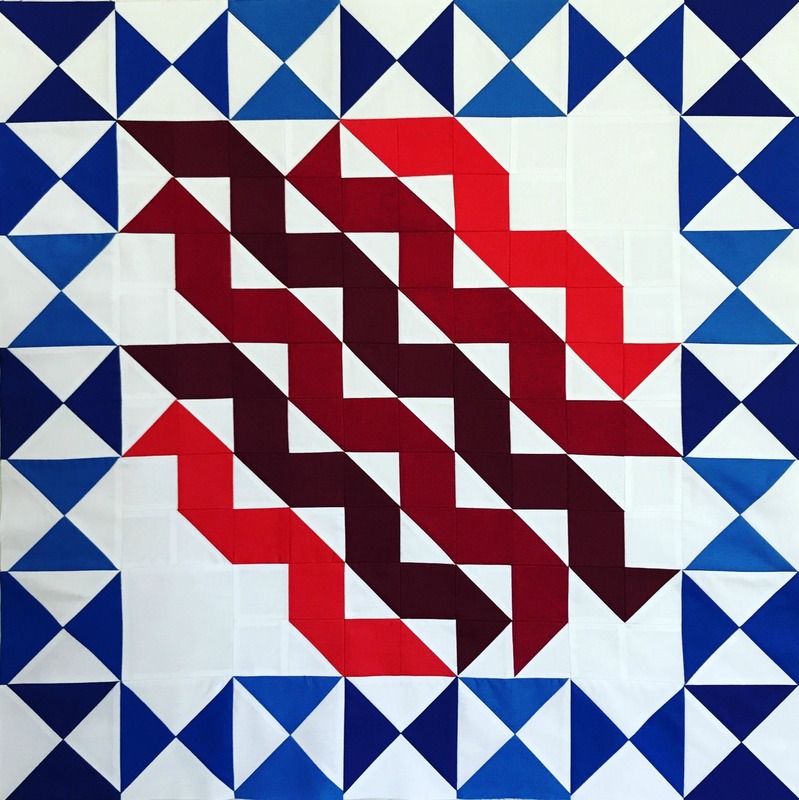 She uses some of the basic building blocks of quilting--half square triangles--to make her Streamers quilt, which creates the feel of Old Glory's stripes rippling in the wind. Cindy says: "Several months ago, I had designed a single-color quilt. The center part of the quilt reminded me of ribbons blowing in the wind, and I thought it would make a beautiful red, white and blue quilt." Head over to Cindy's blog to find the tutorial to make this beautiful quilt! It has been fun to see all the different designs your group have made. Great design. The fabrics are fabulous for this time of year.